Today I thought I’d share a small project with you I completed in our office/guest room a while back 🙂 I get asked often where I find the furniture & decor we have in our home. The truth is a little bit of everywhere. I go to auctions, flea markets, junk festivals, antique/vintage shops as well as yard sales & the Facebook market. Usually I find the best deals on things I’m not exactly looking for at that moment lol! This was the case with the metal twin bed I bought at an auction for $5!! I hadn’t really intended to buy a bed that day, but when no one else bid how could I pass up a steal like that?! I brought the headboard, footboard, & rails home then cleaned them up. I decided to paint them all so first I roughed them up with some 100 grit sand paper just to give something for the paint to grab on to. Afterward I painted them with Rust-oleum’s satin black spray paint from Lowe’s until it was completely covered. Once the paint was dry we set it up in the office/guest room as the perfect little cozy overnight place for guests 🙂 I got both the IZOD Grey Ticking twin sheets from Amazon which you can find HERE & the white quilt HERE or click on either ad below. You can see the wooden wheels it has in the picture below, one of my favorite parts! 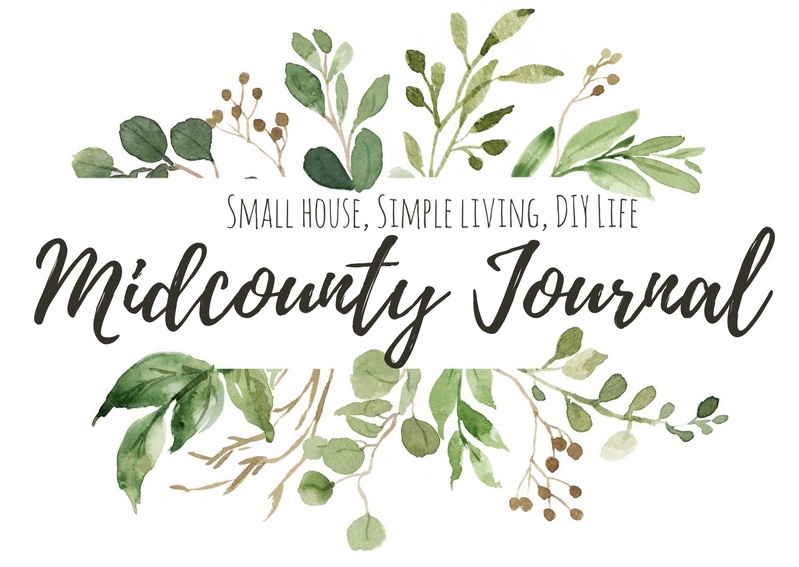 Be sure to follow me on Instagram @midcounty_living for daily pictures of our home & sneak peeks of projects we’re working on! Hi, Amanda…I Iike the sweet little bed and I also noticed, the cute small table, you are using as a desk! Yes! I actually found that desk at 2 Brother’s Antiques one day 🙂 I miss them! !